I was going to make a nice picture to go along with this post but since the photo editing site I use doesn’t allow even free editing anymore I can’t. So I’ll just start this post – I’ve been remiss in posting because life has been so busy. My daughter’s have had a performance each month since September including traveling to Greenville, S.C. for Project Dance. In November was my on campus intensive for a week, also had to have all tires replaced on my vehicle plus a tie rod. Then on Thanksgiving my water heater goes out. So it’s been busy and expensive. Yesterday, I briefly visited my mom. She told me she had her other house, the one we last lived in and the one my husband passed away in 3 years ago, cleaned out. We left some furniture and stuff that was broken when we moved out. I was happy that she’d finally done it – we’ve been out of the house for over a year now. I was also sad – I broke down while driving with my children in the car. You see, while we’ve been in our new home and creating new memories – there was also still that link and now that link is gone. Severed. Dissolved. In my mind, while there was still some things left in the old house it was a way for me to still feel some connection to my husband. Knowing that the house is cleaned out. Knowing that my mom is having someone to come in and paint. Knowing the house will be put on the market soon. These are all things that leave me feeling like I’ve lost him again. Thankfully my children understood, they gave me the time I needed. I kept driving. My oldest handed me a tissue. I dried my eyes. My son then realized that we had left his lamp, which my husband bought him, and that it was now in the trash. I assured him that the lamp wasn’t good as it got too hot and was a fire hazard. I get it though. Tangible. It’s why I still have the last pack of Christmas peppermint Peeps Don bought me. They are hard. Rock hard. They are tucked away in a drawer in my kitchen. I hate peppermint. Three years doesn’t mean I forget. Widows don’t forget. The children don’t forget. Life does go on though. Birthdays. Dance recitals. Holidays. Anniversaries. Life goes on. It just goes on differently. I’ve been told that I should drop the widow title. 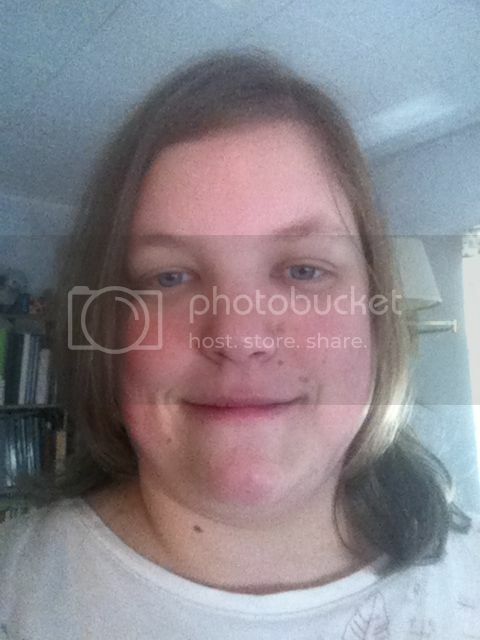 When asked, say I’m single. That it makes people uncomfortable when I say widow. A moment of uncomfortable feelings for someone versus three years of my uncomfortable life? Me saying widow doesn’t mean I want pity, but it describes who I am. I know I’m ‘single’ but if I still had had a choice I’d still be married. I’m so very thankful for our life now. It has been a long three years though. Don’t forget – during the holidays, if you have a widow in your life, don’t forget them. Let them know you’re still there, you haven’t forgotten – holidays are hard. Comments Off on It is that time…. This post won’t contain pictures – it’s not because I don’t want it too but because I’m simply trying to keep up with our lives. June 13, 2016 marked 1 1/2 year of me being a widow – you can read some of my thoughts on that here, I wrote it before the mark. A friend of my husband’s passed away this week – he was 44 and he left behind three children and a wife. There are times the scabs get ripped off and start oozing again. I could not bring myself to go to his visitation, I’ll send a card to his widow and children. There are times I want to quit everything – church, school, activities, all. of. it! I just want to stay inside, cuddle in my bed and have my children with me and just, BE. There are times that I put on my smiling face because no one wants to really hear about our troubles, my worries for the future and so on. I’m just weary of everything – it’s not so much depression as it is self-preservation. I want to stop but then I know if I do – even for a moment – things will come crashing down, emotions I don’t want to feel, tears I don’t want to fall, raw pain that I don’t want to deal with. So I stay busy, so busy that by 7 or 8 p.m. I fall into bed exhausted so I can fall to sleep and not let thoughts plague me – of course the nightmares come. So I guess it’s counter-productive. I’m realizing I haven’t grieved fully. 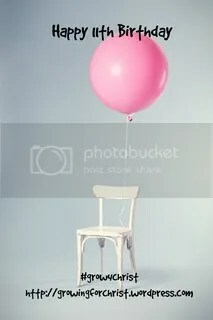 I’m realizing that I’ve gone through the motions and it seems the more I go through the motions the more numb I become. I’ve realized what family and what friends I can count on and there are those I can’t, and it hurts. Those that have helped and continue to do so, thank you, that isn’t what hurts. The hurt comes from those who think I should be the one to call, to reach out if I need something. If someone lost a parent, we wouldn’t require them to be the ones to reach out, would we? So why should a widow? There is family who wonders why we don’t come around much – it goes both ways and I can’t be the one to make the effort all the time. My son recently confided to me that he gets scared when I’m asleep. I guess apparently I sleep so soundly that you can’t see my chest rise and fall. Being the child that found his dad, you can imagine how scary it is for him. So I’ve had to give him permission at any time he gets scared and doesn’t see my breathing, to wake me up. This isn’t an easy feat, my husband hated waking me up too, I’m a heavy sleeper for the most part. I’ve assured him and all of them they can wake me. That is our lives. I even check on the children more now than I did when they were babes. If I get up to use the restroom in the middle of the night I’ll check on them – and hold my breath until they either move or I see their chest move. We take for granted we’ll be there in the morning – our lives no longer allow us to do that – sad for me to learn and even more sad for such young children to learn. We’ve gone through our 2nd Father’s Day and we’re going into our 2nd Fourth of July – my mom is thinking of buying me a grill so we’ll probably do something low key at home. My son doesn’t want to see fireworks, I’m okay with that. My oldest had her 2nd set of ear tubes put in this week and so she’s sensitive to sound. We’ve got smoke bombs and sparklers we’ll do. We’ve also passed my brother’s 1st birthday, the first one without him here. One would think that as a social worker and having taken many psych classes I’d know what to do, follow the stages of grief and be healthy. Like nurses making the worst patients, social workers don’t follow their own education either – oh we can tell others the way I’ve dealt with things probably isn’t the healthiest, it will come to bite me in the end, etc, etc. Then again I guess we’re all just trying to make it through whether healthy or not, whether it’s following the grief guidelines or not. So all this to say is that I’m still here, blogging is still a way for me to express myself, just checking in. Please keep us in your prayers. Its been awhile since I’ve written a personal post – November 2015 to be exact. I have to say things have been so busy and also sad in our house. On our way home from West Virginia for Thanksgiving on November 28th, my mom called me to ask if we could pick her up at the hospital. She said she’d been in a small car accident and seeing as we had just past the city where she was I turned around, she couldn’t get a hold of my younger brother. Found out it wasn’t a small car accident and she had a severe concussion. My brother agreed to come to her house to care for her as she is unable to climb the stairs in my house. On November 30th I received a frantic voicemail that my brother had fallen and she couldn’t get him awake. I had just spoken with him a few hours before and he was fine. I rush over while having my best friend on the phone to turn the corner to see many cops, two squads and two fire trucks. I go up to the house to find them working frantically on my brother – he was 32. His obit is here. The next few months had me working my part time job, taking care of my mom and my children and beginning school. My first two spring quarter classes started in January and finished this past Friday. My next two classes begin next Monday. I’m taking a full time course load so I can get all my federal financial aid. Needless to say it’s been a VERY busy few months but in some ways also very rewarding. My children are very supportive of my going to school even if my son doesn’t quite understand when I need time to study or write my papers – I’m currently carrying an A average. I’m attending Liberty University Online pursuing my Bachelors in Social Work. My goal is eventually to either continue working the developmentally disabled field or to work with women leaving prostitution and human trafficking. Work is well, work. I take care of three men who are DD in their home – they are great guys but it is still work. I was taking care of a fourth in another house but he passed away two weeks after I met him. I feel like home is an area I’m failing in – the house is often a mess and even with the children, especially my oldest pitching in there is a sense of disarray and dirt everywhere. When people say you can’t have a career and a house, it’s true – you can but one is going to suffer and right now it’s my house, and I hate that. Honestly, we could probably scrape by if I didn’t work but there wouldn’t be extras because we’d only be able to buy groceries (and then only cheap stuff, not healthy stuff) and pay bills and put gas in the car. There wouldn’t be room to pay for dance or take small trips or take in the occasional movie at the cheap seats theater. I’m trying to get into a groove and find a balance but so far I haven’t. I’ve cut out reviews – as soon as I get the ones that need posted up and done I’m out because it’s one thing I can say no to. We’ve also made it through a whole year of not having Don with us – and we’ve gotten through our 2nd anniversary without him and his 2nd birthday. It’s been tough – and while we aren’t in the throws of grief, we still have our sad days but we are much more better at remembering him with laughter than we are with tears. I don’t go to the cemetery much, although my in-laws do, it is hard and I know he’s not there and seeing my name on the marker is well, eerie. I’ve also had a talk with the children about me wanting to find love again – it’s not something I’m rushing in to and there is no one in mind – but I know Don wouldn’t want me grieving the rest of my life and since I’m only 37 I am still young. My in-laws know too. I would want the same thing for him, had it been me to go. I’m praying the Lord will show me the right man even if that comes through eHarmony which I’ve joined. For those who are against online meetings – I know the risks, my husband and I met online and we almost made it to 14 years. I’ve been told by different people lately that they admire me, they don’t know how I do what I do. I can say it’s all the Lord – if not for Him I’d have fallen on my face a long time ago. It’s also my children, they keep me going and then I read my oldest daughter’s blog post and I get the sense that even when I’m failing, I’m doing something right. So, with that I’ll close – I’ll try to get better at posting personal stuff and also more homeschooling stuff as I get caught up on my reviews. I’m sitting in my friend’s house, preparing to celebrate Thanksgiving, our first, with her husband and three children and her BIL and SIL. You read that right, our first Thanksgiving. My children’s first Thanksgiving without their dad. My first in 14 years without my husband. There have been several firsts – we’ve already had our first Christmas but it was so soon after the funeral that we were so numb and just went through the motions. I’ve had our first anniversary with my better half. We’ve all been through the first birthdays, our first Easter, 4th of July, Groundhog’s Day (this was very important to us, hubby always joked that if his job gave him the day off he’d effectively have every holiday off work), trick or treat and now we’ve come to the first Thanksgiving. We began our marriage by traveling to the in-laws’ house, my mom’s side and then my dad’s side – it was too much especially as the children came along. So we decided to just stay in for Thanksgiving, family could come over if they wanted, or not. Usually my mom and one of my brother’s would come. Don would get up early to put the turkey AND ham in the oven. I’d make the deviled eggs, Don would peel the potatoes for me so I can get them boiling and add my sour cream and chives. I’d make from scratch pumpkin pie and apple pie. We had a HUGE spread with hubby doing most of the work, thankfully. I know he wouldn’t want us to be sad which is honestly easier said than done. There is a person missing – a HUGE missing spot in our Thanksgiving. Not be sad? Not grieving? It isn’t possible. Yes, we will strive to be happy, joyful, thankful but there will also be memories, sadness, and grief. Be thankful? We can be thankful that we’ve made it this far, that we’ve almost a year without a dad, without a husband, friend, confidant. I can be thankful my husband no longer has any health concerns. I cannot, however be thankful that he isn’t here. That he was taken too soon. I won’t pretend. I won’t plaster a fake smile – if tears come, we’ll let them come. If grief rears it’s ugly, but sometimes necessary, head we’ll deal with it. Thanks that we’re still surviving, still putting one step in front of the other. Thanks that even while one is missing that we have our memories. Thanks that the four of us are together, and it seems we are stronger than we were before. One thing to remember that as we come together to celebrate and be thankful, we need to be mindful of those hurting hearts – whether it’s from a loved one missing, a health diagnosis or other hurt – we need to be mindful of those who are hurting. If tears come, if a memory comes to mind – give a tissue and a shoulder and a listening ear. Often times, holidays make the hole bigger, it’s like ripping off a scab and re-opening the wound – they may appear fine on any other day but then Thanksgiving arrives and it’s all fresh, like it just happened. Thanks for our faith, that we have a Heavenly Father, that keeps us surrounded in His love, keeps us in His hands and protects us – and that is ultimately what we all should be thankful for. 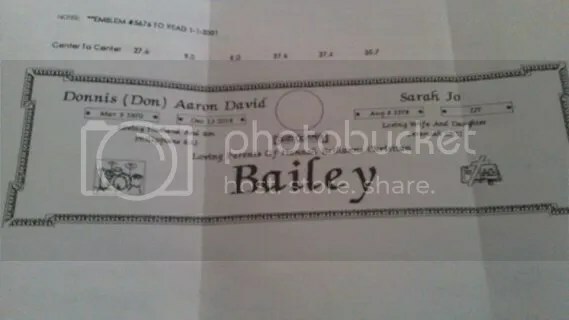 I graduate high school in 1997, went into the United States Navy, and then graduated college with my Associates in Social Work in 2001 – the same morning I found out I was expecting our 2nd baby but the first to be born. I tried to go to an online college after that but it proved disastrous with a newborn baby – so I decided I didn’t need anymore college. I love to read, I love to learn – so studying was never hard and most subjects, excluding math, came easy for me, but my husband and I had decided I’d stay home and we’d be homeschooling so really a BSW (Bachelor’s in Social Work) wasn’t really a need. The online college I was pursuing a paralegal degree. That said – now that I’m widow I know I have to start planning for the future, both my children’s and my own – the survivor benefits will decrease once my children are no longer eligible, even though I’ll continue to get mine for the rest of my life – there may be some rules about that but I can’t remember them all. However, once my children’s go away I’ll be living on next to nothing so I need to plan. With that said I’m going back to college to earn my BSW. 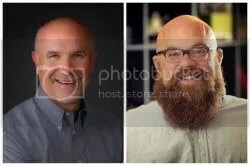 I applied to a well known, at least in my area, Christian university however they had absolutely no help for widows, which struck me as ironic for being a Christian university. They also weren’t real happy with me refusing to take loans or wanting to do the majority of my general ed classes online. One woman told me I should just focus on “being the best mom I could be”, yes, that is what I’m doing, why do you think I want to take online classes. So after much prayer and discussions with trusted advisers I decided that University wasn’t the one. It used to be that the state of Ohio, or at least that is what I was told, would not recognize a social work degree that was completed online but on the off chance I contacted Liberty University Online (LUO). I spoke with several people who assured me of their regional accreditation and that they did indeed have a BSW program. Okay Lord? Well then things really started falling in place – they were actually excited that I didn’t want to use student loans and then I was told I qualify for the military discount pricing! Okay Lord I’m getting it. I can do the whole program online, from the comfort of my home except for my practicum which I knew before hand. I’m already registered for my first four classes, which makes me a full time student right away but I’m so excited! My goal is to become a Path Coordinator (although I’m sure the title will change as it often did for my husband) with our local Board of DD. There are many things to consider though such as I would need to work 30 years more to receive retirement through our state’s system – they don’t pay into SS – which means I could be in my 70’s when I would retire and I want to enjoy my grand-babies so I may have to look into whether I pursue private employment, but I have time to wait on that. I may even pursue my Masters in Counseling after my BSW, I’ll see where the Lord leads. Right now I’m waiting on my financial aid to be received and processed so I can find out exactly what I’ll be getting, but the estimate seems like it would pay for almost all my classes each semester. I know I’ll still have some out of pocket expenses, which is fine but not what it would have been like had I gone to the other University where my financial aid wouldn’t have covered even 1 full semester. My desire is to do this debt free, to honor the Lord and also to stay out of debt that my husband got us out of and having paid off my ASW earlier this year with the life insurance. I want to note if you feel led to donate to my educational expenses donations can be made to the Bailey Family Fund at any Huntington National Bank (100% will come to me), there is also a GoFundMe page (they do take a percent), and my friend is hosting a fundraiser for anyone who purchases from her site or her Currclick page – search Shari Crooks (you don’t have to be a homeschooler to use her products). Any helps is immensely appreciated and will go towards my education – books, supplies, gas once I begin my practicum (internship in other fields), etc. Parents often experience a “freak out” moment when they realize their children’s view of God will primarily come from what they learn at home. Most parents spend more time helping their kids succeed at academics or athletics than infusing shared spiritual experiences into the rhythm of everyday family life. While the idea of strategically passing down our faith can seem intimidating, the annual Rites of Passage Experiences contained in Pass It On make it easy for your family to celebrate milestones from kindergarten through high school graduation. Forever change the direction of your family’s spiritual legacy . . . starting now! Purchase your own copy at David C. Cook. Jim Burns is president of HomeWord and executive director of the HomeWord Center for Youth and Family at Azusa Pacific University. He has more than 1.5 million resources in print and a radio broadcast heard on 800 stations a day. 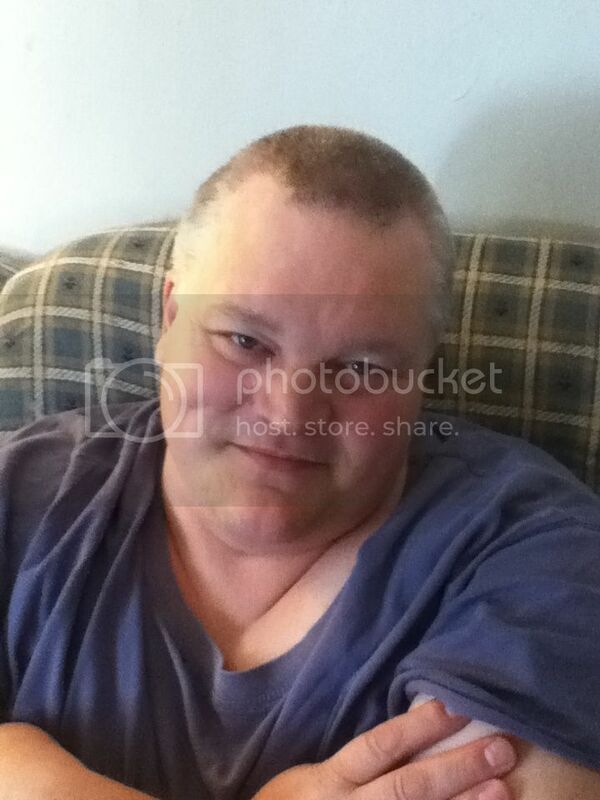 Jim resides in Southern California with his wife Cathy and their three daughters. Connect with Jim on his website, Twitter, and Facebook. Jeremy Lee is the founder of ParentMinistry.Net, a subscription-based service for children and youth ministry workers. He was on the writing team for the Simple Truth Bible from Group Publishing and the Ignite Study Bible from Thomas Nelson Publishers. Jeremy lives in Nashville with his wife and children. Connect with Jeremy at his website, Twitter, and Facebook. One of my worries in regards to being a widowed mom is am I going to be able to pass on my husband and I’s faith single-handily. 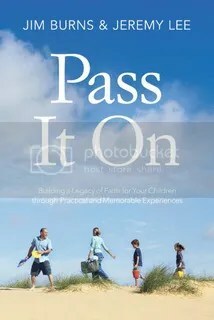 When Pass It On came up for review especially with the secondary title of “building a legacy of faith for your children through practical and memorable experiences”, I knew it was a book that I needed to read. I’ve always thought, even though we aren’t Jewish, that rites of passage for children are something that Christians should do – to recognize who their children are as they grow in their faith. Mr. Burns and Lee give parents the tools they need to be able to bless their children at whatever stage they are at and make it meaningful – even if the child rolls their eyes or deny wanting anything to do with a ceremony. My only issue with the book was the use of grade levels to determine where a child is at – as a home school family – my children don’t fit into the typical grades like if they were in school so one may be above, another below or another in between. The good thing is this book is flexible and if your ‘kindergarten’ aged child is more mature and seems to fit in the ‘first grade’ then use that. So each grade has a different spiritual aspect attached to it, so second grade is “an invitation to the Bible”, the authors walk through what is going on in this child’s life and how it affects their faith, then they describe what a rite of passage could look like for that child (these passages don’t have to be huge to-do’s just gather the immediate family) and some ideas for gifts ranging from the cheap to the more expensive as well as Scripture. The authors then list what the average second grade child is like physically, emotionally, relational and spiritually – this will help parents better gauge where their child fits especially if the family doesn’t assign grade levels. I know it comes in handy for myself such as my 9 year old son who isn’t reading yet (not for lack of trying though) but is working at a fourth grade level in all other subjects. Overall, I think this is a fantastic book and I know my oldest who is 13 will more than likely find it cheesy but I’d love to try to fit these into our lives especially as I try to strive to make our faith more strong and real in light of our new lives. The rites of passage aren’t bound in stone and each family can tweak as they need to for their family or for their child – but the authors do say if you do it for this child and the other children see it be prepared to do it for the next child and so on. I often find it hard to have one on one time with the children as we’re so busy and I’m only one person but the other positive about a rite of passage is letting the child know they are loved and cherished by both the Lord and myself even if the one on one attention is lacking. I will be referring back to this in the coming months and try to figure out how to implement this in our lives. To see what other bloggers are saying visit the Litfuse Landing Page. 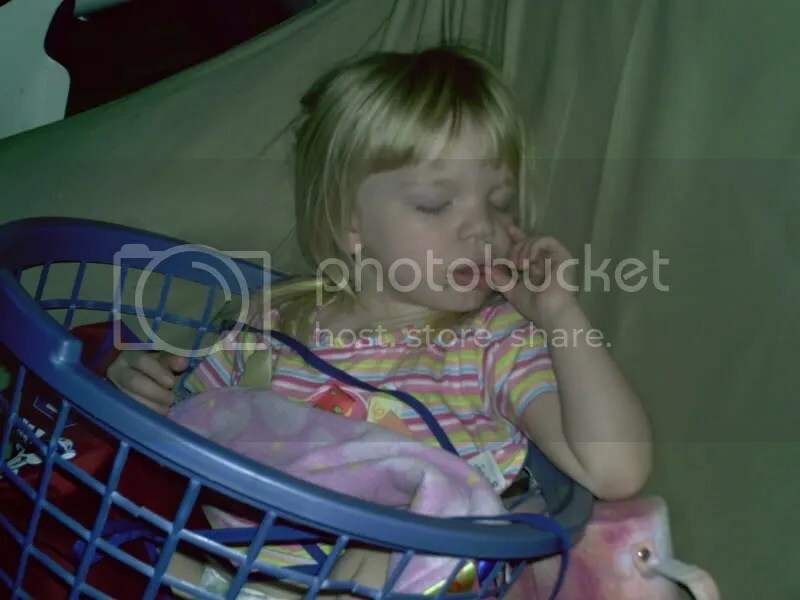 My middle daughter – asked me if I was going to do my usual special blog post that I do for their birthdays – I said sure, well we were also on vacation AKA running away for her birthday. Now that we’re home I have time to sit and write her special 11th birthday post, although admittedly it is VERY late – her birthday is September 29th. 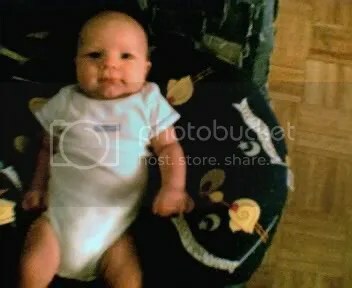 She was a bald, beautiful baby! 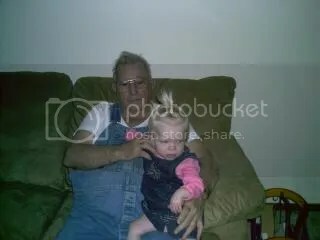 Here she is with her Great-Grandpa. 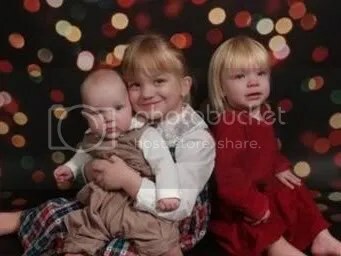 All three of them – she had a bit of a crying spell before the photo session. She could and still does manage to fall asleep in weird places and positions. 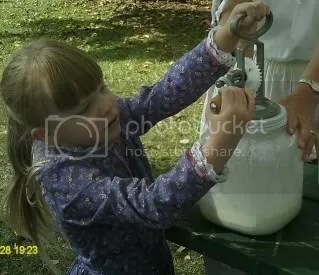 Helping to churn butter at a living history event. 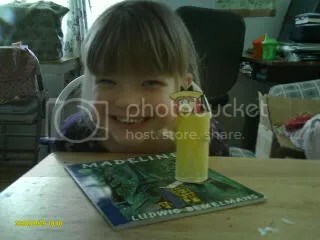 Her first day of school when we were using FIAR and studying Madeline. 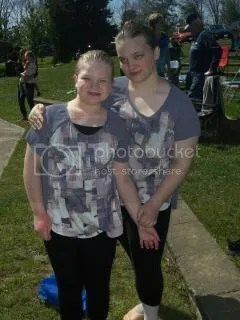 She and her older sister at Praise Him in the Park in September 2014 – she loves to dance and praise the Lord. 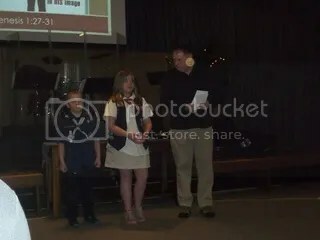 She and her brother receiving their religious awards through American Heritage Girls from our Pastor (it was completed at another church but our Pastor gave them their medal). This was on 2-22-15. She is my funny girl, she loves to tell jokes no matter how horrible they really are and we all laugh – this is a trait she got from her dad. Right now I have a drum set sitting in my computer room that we have no idea where to put it because she begins drum lessons tomorrow, I agreed to this if I could find someone we could afford (thankfully the Lord put a woman who is blessing us with a weekly 45 minute lesson in her home) and if she continued with piano as well. The house is about to get louder. She is turning into lovely young lady who gave her testimony and was baptized this spring in our church – her desire is to serve the Lord through missions and dance and one day be a wife and mom to many. I love my middle daughter. My son’s first happy meal – he was so funny! This day nine years ago I was at the hospital early with my husband and our two girls, waiting for the pitocin to kick and walking the halls. My little man entered the world several hours later and captured my heart. Much like daughters do to their dads, this little man won me over – my worries over what to do with a boy gone. I had a son. You can read the birth story. 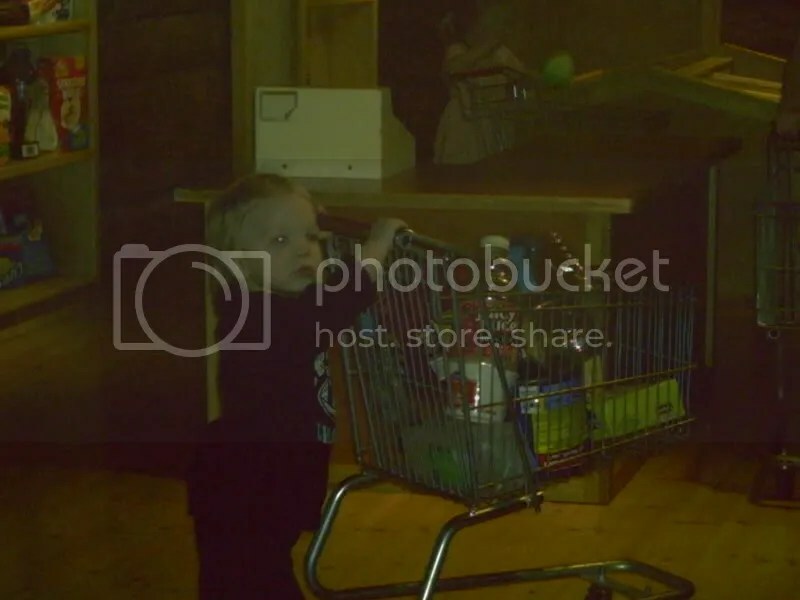 My son grocery shopping at a near by children’s science museum. I cannot believe he’s 9! It’s been a rough few months – he is the one who found Don but thankfully he didn’t realize at first, he just thought dad was still asleep but had had an accident. It’s hard to be a mom who doesn’t know what it will be like to be a teen boy in a few years and all that comes along with it. I know that the Lord will be with us, just as He got me through the potty training and getting used to having a son He’ll get me through being a widowed mom of a boy. 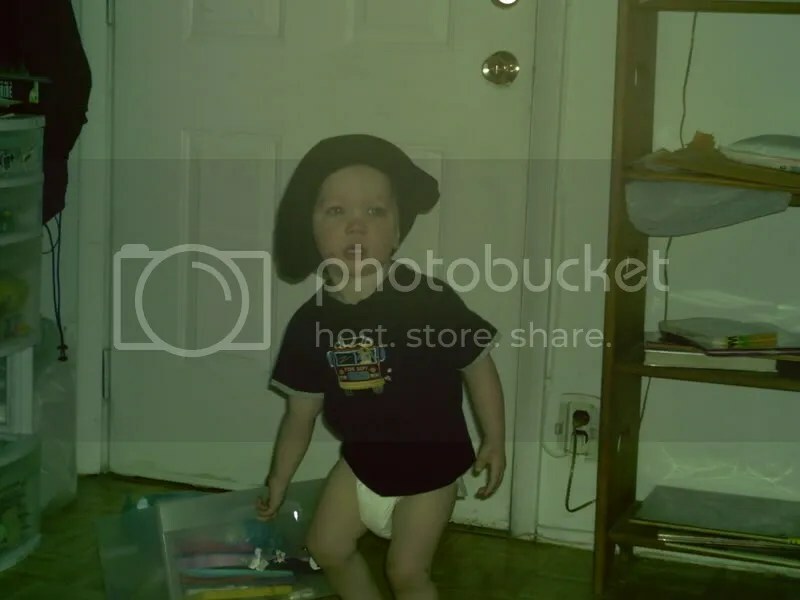 Yes, those are his shorts on his head. He still makes me laugh with his silly antics. He laughs at farts and tells gross jokes – he reminds me of my husband in that way not to mention he looks like him too. He’s a yellow belt in karate and tests again on the 30th for his next belt, I think it’s an orange with white stripe. The dojo he’s been at now for about 4 years has become like an extended family. He took a boys hip hop class last year and really enjoyed it too, unfortunately it’s been discontinued. 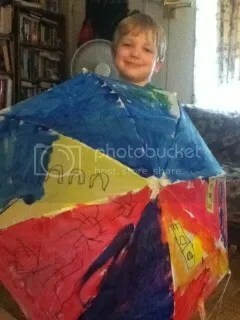 With his umbrella he painted in a College for Kids summer class back in 2012. As soon as his eyes open in the morning he is ready to go, go, go – while he still has a temper (comes by it honestly) he is also the sweetest little boy. If I’m feeling sick he makes me get well cards and draws me pictures. He still likes to watch Ben 10, even though it’s no longer ‘popular’. He enjoys going to Sunday School and Junior Church. He is doing better with reading and I can see him conquering it very soon! Some days are hard, as being a mom can be, but in the end when we’re snuggled on the couch or in the bed reading a book it’s so worth it. Happy 9th Birthday to my little guy, to my son. It’s been awhile since I last posted anything but a review and for that I apologize – we’ve had a busy summer. 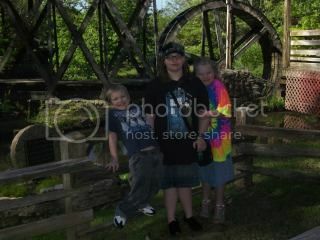 Both girls went to 4-H camp and then my son went to Webeloes camp, they’ve also had College for Kids, and we all traveled to Project Dance: Detroit. So it’s been hard to get all that needed done, and read and make up a non-review post. I’m actually feeling poorly again – my ears are in pain every time I swallow but I don’t have time to be sick so I’m keepin’ on keepin’ on. Dictionary.com gives five definitions of legacy but the one that pertains to this post is: anything handed down from the past, as from an ancestor or predecessor. This got me to thinking, what legacy am I leaving for my children? My grand children? Great Grandchildren? What am I passing down to them? I have my Great Grandpa’s harmonica that my Grandpa gave to me. I have a stuffed teddy bear made out of my Grandpa’s shirt. Am I passing down a legacy of anger? When I think about what I am passing down, what I will leave with my children when I’m gone I’m not solely thinking of the material things, those won’t matter in the grand scheme of things. As a Christian I know that the things here, my Great Grandpa’s harmonica, my books, my husband’s shirts those will all turn to dust eventually or rust and be destroyed. I don’t want my children looking back and telling their children, “oh, how Grandma could yell” or “Grandma got so mad when we’d interrupt her reading” or whatever else. I’m not saying this to boast or try to be prideful, but I’m honestly re-evaluating my life – am I going to leave a legacy where my children think it’s okay to yell at their children? Or am I passing on a legacy of love, patience and training? I’ll be honest right now – I think my children (and I know at least one will read this post) know I love them but will they see past all my failings as a mom to know that my legacy isn’t one of yelling, impatience, complaining and so on? I want to pass on a legacy of faith – faith that when things are tough the Lord is there. Faith that brings patience whether it’s a driver going to slow or when a child interrupts me. Faith that when they are yelling and playing upstairs I am gracious enough to go up to them and tell them to calm down (that needs some work). Faith that when they see me down – they see me turning to prayer, even if I’m not on my knees, that I’m spending time with the Lord, conversing, reading His Word. Faith that when they see me happy – they see me conversing with the Lord and reading His Word. When I’m gone I want to leave a legacy, not a material legacy although that can help as well, but one that will last beyond this earthly realm – one that will prayerfully pass down and when they see my picture they’ll see Christ coming through. There are many Scriptures relating to legacies – most relate to the Lord’s legacy first to the Israelite’s and then also to the Christ followers later. 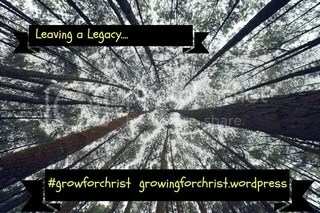 The Lord has given us an amazing legacy and I want to make sure that my legacy aspires my children to see the Lord’s legacy. It’s one thing I never thought I’d have to do – but then one ugly day it became a reality – picking out the marker that will mark my husband’s and I final resting place. I could have made monthly payments but it would then take 2 years for my husband to have something to mark his place now. I knew he wouldn’t want something fancy or too expensive – but I picked out something that would meet my needs now for remembering him and then later for when the children have to remember us both. I’ve waited since March to get this rendering and as soon as the cemetery worker called I called to the children get ready we’ve got to go! Knowing if I didn’t go on Friday it would be another two weeks. It could be 6 weeks before it’s actually made, here and installed or it could be shorter – no one really knows. I was hoping to have it installed in time for Father’s Day (nice Father’s Day present huh?) but that isn’t going to happen. I will admit – this is sort of the finality – it marks that everything will be completed and all is done. Even though I’ve had about 5 months for it all to sink in – seeing my husband’s name on a cemetery marker makes it feel all very fresh and real again – sort of like that whole scab thing 😦 Another issue was seeing my name on the marker – in a way I know it’s good, it’s one thing my children won’t have to worry about later – the cemetery will add my other day and it’s already paid for – but seeing it? It’s very disconcerting – my oldest didn’t even want to look at it, I understand. I sent a picture to my dad and I knew when I sent it it would be weird for him, and it was. The rendering is already blurry so my picture doesn’t help it any but a quick run down is that under my hubby’s name it says: his dates, then Loving Husband and Son, then his life verse of Philippians 4:13. We chose a drum set as he loved playing the drums, even after he sold his set to pay bills one year, he never gave up the dream of owning another set. Under my name are/will be my dates, Loving Wife and Daughter, then my life verse of Jeremiah 29:11. My picture is a Bible and Cross. In the middle, the circle represents where our vase is, then the banner says Together Forever married 1-1-2001 and under that is Loving Parents of …… then our family name. As hard as it was to design this and buy it I’m glad we’ve done it although it is still weird to see my name on there. Meme’s – come join in! My beautiful children - ages 12, 9 and 7. Sarah has read 3 books toward her goal of 50 books. Sarah has completed her goal of reading 150 books in 2013! Sarah has completed her goal of reading 179 books in 2014! See what I’ve been reading.